If you are looking to unlock the impressive power of Photoshop, the Creative Photoshop Skills online course will provide you with the essential skills you need to take your creativity to the next level. 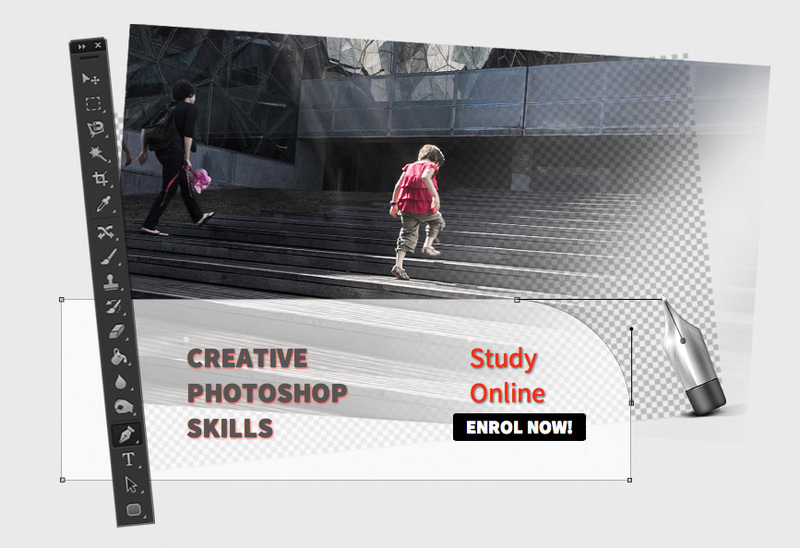 This course is suitable for beginners and intermediate Photoshop users. The course uses a proven combination of real world image-editing examples and step-by-step projects from Mark Galer, an internationally recognized author, Photoshop Guru and Adobe Photoshop Ambassador. One of the world’s most experienced online Photoshop tutors (Mark Derbyshire) will support your learning experience throughout the duration of this course, providing you with prompt and friendly feedback and timely problem-solving advice. PSC’s new online 12 week course is suitable for beginners and intermediate Photoshop users allowing you to fit your learning around your lifestyle and busy schedule! You can work at your own pace and interact with your teacher and other students as part of a shared online learning environment and experience. If you want to know more and unlock the impressive power of Photoshop, the Creative Photoshop Skills online course provides you with some of the essential skills you need to take your photography to the next level. This entry was posted in Adobe, Announcements, Post-Production, Tips and Techniques and tagged adobe, compositing, course, editing, Education, guide, learning, on-line, online, photography, Photoshop CC, post production, retouching, spotlight, support, tutorials.